Jones & Company CPAs PA is a full service accounting and tax firm. We have been providing quality service to our clients since 1986. As a local firm with offices in Trinity, Tampa, and Land O'Lakes, we are involved with the community and charities and are proud to call our clients friends. Our clients are our best referral source. We offer many services including small business accounting, business and individual taxes, certified fraud examinations, business valuations, collaborative divorce financial neutral and homeowner and condominium services. An accounting firm is known for the quality of its service. Our firm’s reputation reflects the high standards we demand of ourselves. Our primary goal as a trusted advisor is to be available to provide insightful advice to enable our clients to make informed financial decisions. We feel it is extremely important to continually professionally educate ourselves to improve our technical expertise, financial knowledge and service to our clients. Our high service quality and referrals from clients are the results of our commitment to excellence. As CPAs we hold ourselves to a higher level of ethical standards. 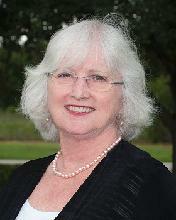 Patricia Jones began the CPA practice in Pasco County in 1986. She graduated from College Misericordia with a Bachelor of Science Degree in Business Administration and was licensed in the State of Florida as a Certified Public Accountant in 1984. She has over 35 years of accounting experience, which includes taxation, audit, estate planning and consulting. Patricia is accredited with the Association of Certified Fraud Examiners for fraud examinations. CFEs have expert knowledge in the areas of fraud prevention and deterrence, fraudulent financial transactions, legal elements of fraud and fraud investigation methods. CFEs are trained to identify the warning signs that indicate evidence of fraud and fraud risk. Patricia is licensed as a Community Association Manager in the State of Florida. She was a member of the FICPA CIRA Committee from 1998-2008. She has an extensive background in Condominium/Homeowner Association accounting and issues. Patricia is accredited with the American Institute of Certified Public Accountants' ABV designation, Accredited in Business Valuation. This credential positions valuation professionals as the premier business valuation service providers. Patricia is accredited with the American Institute of Certified Public Accountants' CFF designation, Certified in Financial Forensics. The CFF credential is granted exclusively to CPAs who demonstrate considerable expertise in forensic accounting through their knowledge, skills, and experience. The CFF encompasses fundamental and specialized forensic accounting skills that CPA practitioners apply in a variety of service areas, including: bankruptcy; electronic data analysis; family law; valuations; fraud prevention, detection, and response; financial statement misrepresentation; and damages calculations. Patricia has completed specialized training for Collaborative Divorce protocols where the couple engage a team of professionals to guide and help them through the transition of divorce. The team works to resolve the issues in a healthy and streamlined process. Patricia serves on the Board of Directors as Treasurer of Gulfside Regional Hospice, Inc., Past Chairman of Junior Achievement-Pasco and Treasurer of Friends of New Port Richey Library and served as Treasurer of Seven Springs Rotary Club. She is a member of the Women in Philanthropy North Bay. In 2006, she was awarded the Bronze Leadership award for her work with Junior Achievement. She is the past President of the North Suncoast Chapter of the Florida Institute of Certified Public Accountants. Patricia is a member of the American Institute of Certified Public Accountants, Florida Institute of Certified Public Accountants, North Suncoast Estate Planning Council, Suncoast Community Association Institute, and The American Women's Society of CPAs, Tampa Bay Affiliate. 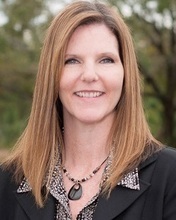 Traci Malik joined Jones & Company CPAs in 2002 and has been in the public accounting field since 2000. She holds a bachelor’s degree in Accounting and a Masters of Accountancy degree from The University of South Florida. She became a CPA in 2004 and a partner in the firm in 2010. Traci is accredited with the Association of Certified Fraud Examiners for fraud examinations. CFEs have expert knowledge in the areas of fraud prevention and deterrence, fraudulent financial transactions, legal elements of fraud and fraud investigation methods. CFEs are trained to identify the warning signs that indicate evidence of fraud and fraud risk. Traci is accredited with the American Institute of Certified Public Accountants' CFF designation, Certified in Financial Forensics. The CFF credential is granted exclusively to CPAs who demonstrate considerable expertise in forensic accounting through their knowledge, skills, and experience. The CFF encompasses fundamental and specialized forensic accounting skills that CPA practitioners apply in a variety of service areas, including: bankruptcy; electronic data analysis; family law; valuations; fraud prevention, detection, and response; financial statement misrepresentation; and damages calculations. Traci has completed specialized training for Collaborative Divorce protocols where the couple engage a team of professionals to guide and help them through the transition of divorce. The team works to resolve the issues in a healthy and streamlined process. She is a member of the Florida Institute of Certified Public Accountants and the American Institute of Certified Public Accountants, and The American Women's Society of CPAs, Tampa Bay Affiliate. She has been on numerous boards of directors for non-profits over the years. She has previously been on the board for the Suncoast Chapter of the FICPA, Junior Achievement, Alzheimer's Family Organization, and Alzheimer's Family Organization Foundation. Traci is a native of Florida and grew up on Clearwater Beach. She is the youngest of six children. She brings extensive business experience from her years as a national sales representative for a local manufacturing company. She is married and lives locally. Her husband works for Fox13 in Tampa. She has a daughter that was born in 2007.